This ultra-feminine, romantic rose is a classic! 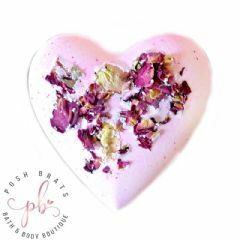 Smells like a true living rose with delicate, soft petals. The pure rose tones are prominent and traditional. It's an elegant and dainty scent perfect for a woman proud of the softer side of her femininity! Sophisticated heady florals and spicy notes are accented by warm tonka bean, vanilla, and touches of dried fruit and oudh. A classic soft violet fragrance enhanced with fragrant heliotrope, rose, lily, iris and a hint of wedding cake. Candied Parma violets are blended with mounds of sticky marshmallow, double scoops of vanilla ice cream and all topped with fizzy cream soda.